An amazing Hawaii vacation is hardly out-of-reach for travelers with disabilities. In fact, all the islands offer an abundance of tours, beaches, hotels, and parks that are handicapped accessible and comfortable for those who have physical limitations. Oahu comes under the jurisdiction of the Americans with Disabilities Act, so stairs should have a corresponding ramp and escalators a corresponding elevator. Plus, most hotels are equipped with wheelchair-accessible rooms, and nearly all tour companies provide special services to help those who have limited mobility. Here are a few travel tips and bits of information to help make your Oahu vacation an amazing experience. Taxis and chauffered limosines are available for travelers with disabilities. People using collapsible chairs will be assisted by the drivers. If you require a lift-equipped vehicle, notify a dispatcher and arrangements will be made for you. Taxi (AMPCO Express) can provide lift-equipped vehicles as needed. Arrangements may be made in advance by calling (808) 831-2023 to ensure prompt service. Speedishuttle, which provides on-demand, door-to-door service from the airport to various location on Oahu is accessible for persons with wheelchairs by the use of portable ramps. No advance notice is required. SpeediShuttle may be contacted by calling (808) 839-6248. City Buses (TheBus) are equipped with wheelchair lifts and provide inexpensive transportation to and from Waikiki. Call (808) 848-5555 for route information or see TheBus listing under Ground Transportation. 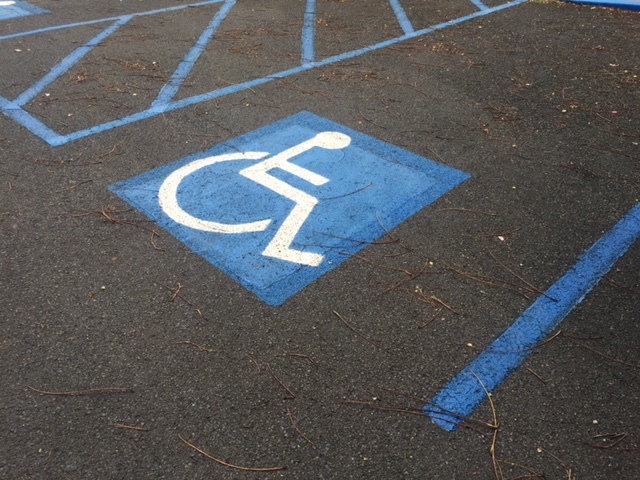 Keep in mind, if you rent a car and have a disability placard, you can use your placard to park in handicapped spaces. If you have a handicapped placard, you can use it in Hawaii. It”s important to check with your individual hotel to make sure it has the specific amenities you require, but you will find that nearly all Oahu hotels are able to accommodate handicapped travelers. For example, The Hilton Hawaiian Village offers room features that include lowered door peepholes, lever door handles, lower or adjustable closet rods, closed-captioned television for hearing and visually impaired, tub grab bars, lever tub fixtures and hand-held shower heads, to name a few. Select items are also available by request including TDD for telephones, a tub seat and wheelchairs. 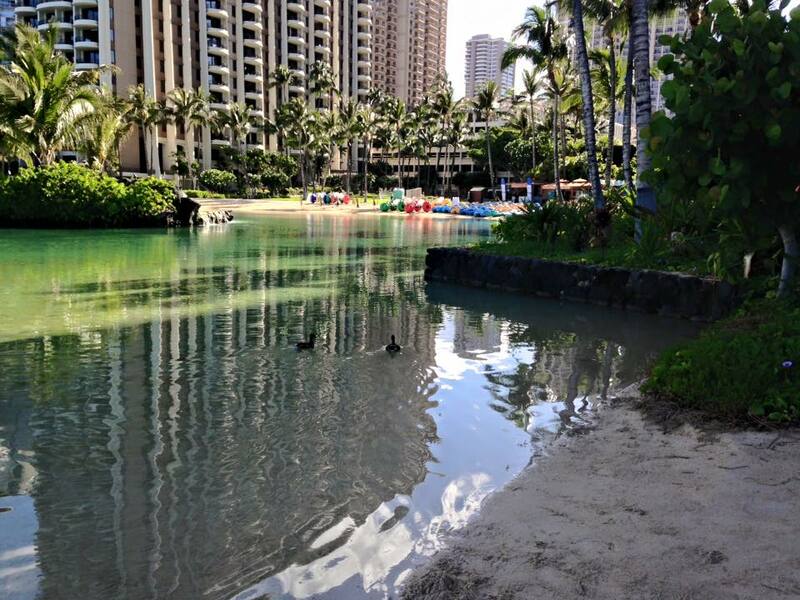 The Hilton Hawaiian Village has a number of wheelchair accessible rooms. If you notice your hotel doesn’t have the amenities necessary to make your stay comfortable, the following companies rent wheelchairs and other medical equipment. Pearl Harbor is fully-accessible to those with disabilities. Reserved parking is available at the Visitor Center and is accessible by ramp. The Visitor Center restrooms, movie theater, exhibit area, bookstore, information desk, and drinking fountain are all fully wheelchair-accessible. The Navy Boats and USS Arizona Memorial are both wheelchair-accessible, but wheelchairs are not available for rent on-site. When booking a tour, notify the booking agent of all special needs. All public areas of ‘Iolani Palace and ‘Iolani Barracks are wheelchair accessible. Entry to ‘Iolani Palace is from the Diamond Head/East side door. Motorized scooters and electric wheelchairs are not permitted in the Palace itself. However, standard wheelchairs are available free of charge for visitors who need them. Just inform the cashier of special requriements when purchasing your tickets, so a staff member can be on hand to operate the wheelchair lift. Keep in mind that hiking-focused parks like Diamond Head are handicapped accessible to a point. The parking lot, adjoining restroom and information area, and the first 0.2 miles of the 0.8 mile trail are all paved. After that section, the trail is uneven and can be dangerous for those using a wheelchair. For further information and to confirm details before visiting, contact the City and County of Honolulu, Department of Parks and Recreation at (808) 768-3027. Whether or not you have limited mobility, your Oahu vacation can still be one you’ll always remember for all the right reasons.